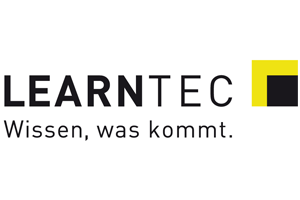 LEARNTEC is the leading International Trade Fair and Convention for learning with IT which will take place from January 29th – January 31st 2019 at Karlsruhe Trade Fair Centre. The partnership offers DGA members special discounts and benefits. With over 10.000 international professional visitors and congress participants from more than 31 countries, the organizer’s high expectations were fulfilled (2017: 7.500 visitors). “The growing importance of digital education is also evident in the stimulating atmosphere that prevailed at the fair and that was echoed in social media”, said Britta Wirtz, CEO of Karlsruher Messe- und Kongress-GmbH. This edition in 2019, a Holland Pavilion will be build where exhibitors can present their products for an attractive price. Prices, visuals and more information about this opportunity can be found here (Dutch). Visit LEARNTEC’s website to learn more or contact us if you want to learn more about member discounts and business opportunities!